Thursday February 1st, 2018 S. G.
From the beginning of April until the beginning of May 2015, Florian Teichtmeister and Michael Fitz stood in front of the cameras in Salzburg as a pair of Austrian-Bavarian investigators. ‘ Die Toten von Salzburg’ is directed by Erhard Riedlsperger, who, alongside Klaus Ortner, is also responsible for the screenplay. Other stars include Erwin Steinhauer, Fanny Krausz, Harald Windisch, Simon Hatzl and, of course, the stunning setting of Mozart- and Festival city Salzburg and its surroundings. 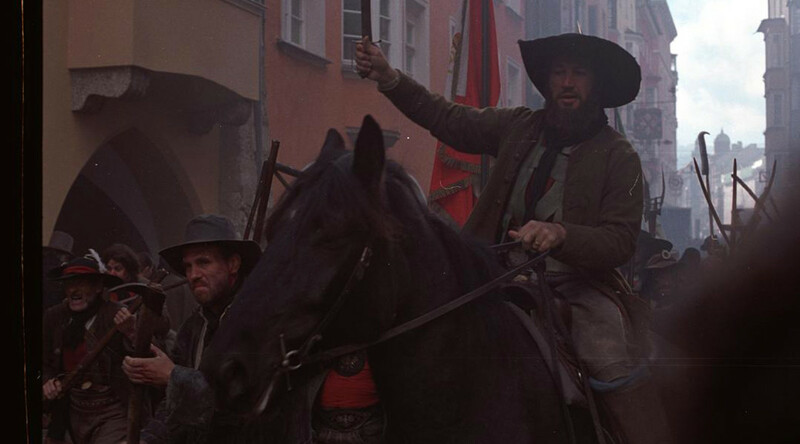 “Die Toten von Salzburg” is a coproduction between ORF and ZDF, supported through the television fund Austria (Fernsehfonds Austria), Stadt Salzburg and the Land Salzburg. When there’s a murder in the border region of Bavaria and Salzburg, it is not always clear under whose authority the investigations should fall. When crooked real estate broker Holzer is found dead, Salzburg’s Major Peter Palfinger and Bavarian Chief Inspector Hubert Mur join forces. However, their partnership is not voluntary and they are off to a bumpy start due to their differences in character and opposing professional approaches. While Mur is a straightforward rationalist who reaches his goals through perseverance, Palfinger is fascinated by the complexity of the human psyche. Bound to a wheelchair since a paragliding accident a year ago, he has a different perception of people and the environment, seeing things that may remain hidden to others. Incomplete paraplegia. This diagnosis was a radical turning point in Palfinger’s ife. The incorrigible optimist, however, takes it as a challenge. He is convinced that his paraplegia is curable and he trains hard to prove it. Eventually he wants to conquer the Untersberg again. Without a wheelchair. On his own two feet. Sunday June 15th, 2008 S. G.
In 1805, Napoleon defeats the Russian and Austrian troops at the Battle of Austerlitz. As a consequence, Tyrol has to be ceded to Napoleon. Andreas Hofer and Joachim Haspinger seek out Archduke Johann in Vienna and ask him to use his influence in support of Tyrol, which has lost many of its old rights and privileges. The archbishop assures them of his support. Full of newfound hope and under the influence of fanatic Capuchin monk Haspinger, who is willing to use any means necessary to destroy his enemies, the devout pacifist Andreas Hofer enters the unequal struggle against Napoleon. The Tyroleans are beaten in the final battle at Bergisel. Having been declared an outlaw, Andreas Hofer hides in the mountains but is betrayed, arrested, and, on 20 February 1810, executed in Mantua. His rise and fall, despair and humility make him one of the most unusual heroes of European history. Thursday June 5th, 2008 S. G.
Marie Bonaparte, great-grand niece of Napoleon I, is not only incredibly rich but also a fascinating intellectual, who is ahead of her times. She fights for self-realisation, her independence and sexual fulfilment. Because of her frigidity she seeks treatment with Dr Freud. Beyond their close doctor-patient relationship, there develops a deep and conflicted friendship between the two and a fruitful scientific collaboration. With great personal and financial effort she helps Freud and his family to move to London following the rise to power of the Nazis and Austria’s annexation. 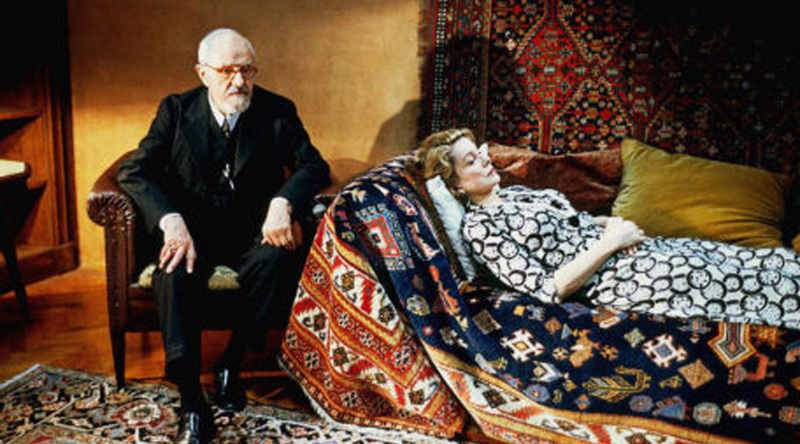 Freud dies there a year later, in 1939. Marie Bonaparte played a significant role in spreading Freud’s teachings and advancing French psychoanalysis when she became an analyst herself. She practiced until her death in 1962. Sunday June 1st, 2008 S. G.
A young lieutenant of petty bourgeois origin who, after saving the emperor’s life at the battle of Solferino, is celebrated as a hero and has been elevated to the peerage cannot come to terms with how the army justifies its practices in the name of political wisdom and decides to leave. He also forbids his son Franz von Trotta to join. Franz then puts the pressure on his own son, wanting him to revive the grand military tradition of the family. The unstable Carl Joseph, however, finds himself unable to live up to the unattainable ideal of his grandfather. He quits his service after tragic events but ends up dying an unheroic war death nonetheless. Tuesday May 20th, 2008 S. G.
Vienna Opera Ball – the ball event of the year – becomes the target of a poison gas attack. The cameras broadcast the disaster live all over Europe. Journalist Kurt Fraser is an eyewitness. He has to watch helplessly as his son, who works as a cameraman, is killed in the attack. Fraser is determined to find the murderers. 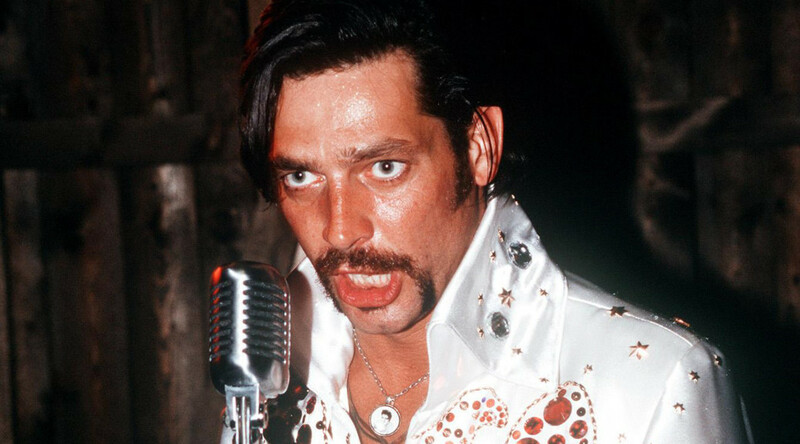 His investigations lead him to the subversive activities of a neo-Nazi group. The longer he searches the stronger becomes a terrible suspicion: did the broadcaster know of the attack? Monday May 5th, 2008 S. G.
Since childhood, Halfried Seelig has had an unusual gift: she can cure the sick through the laying on of her hands and her mental powers. And yet she could not prevent her father’s death from cancer. She hasn’t used her powers in many years, on the one hand she does not want to embarrass her husband Rudi, the local doctor, on the other she wants to avoid conflict with her daughter Marion, who secretly blames her mother for her grandfather’s death. As a firm believer in and practitioner of conventional medicine, she sees her mother’s alternative methods as dangerous charlatanry. But then Hailfried accidentally heals a seriously ill patient in her husband’s practice. She sees it as a sign of fate and decides to stop denying her gift. However, while she earns the respect and gratitude of a growing number of patients, her family threatens to break when the conflicts between its members flare up once again. Sunday May 4th, 2008 S. G.
Halfried tries to distance herself more and more from her healing practices. Due to her past success, however, the number of requests she receives does not diminish. She is also concerned to see the burgeoning ability in her granddaughter Laura. 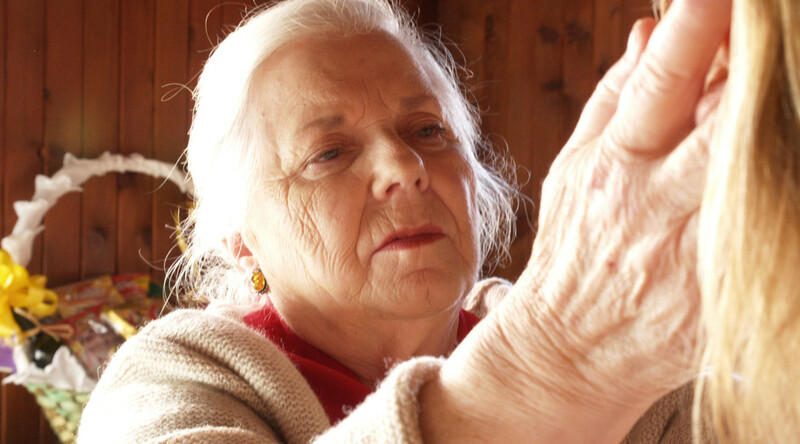 Since her daughter Marion had such difficulties with her own abilities, she tries to pass on an understanding of the gift and what it means to her granddaughter. Marion has returned to the place of her roots and yet she lives a lonely life despite family involvement. It is only with the appearance of a childhood friend that she begins to flourish. Halfried increasingly has encounters that are new and strange but also fascinating and she sees the level of her ability being enhanced. 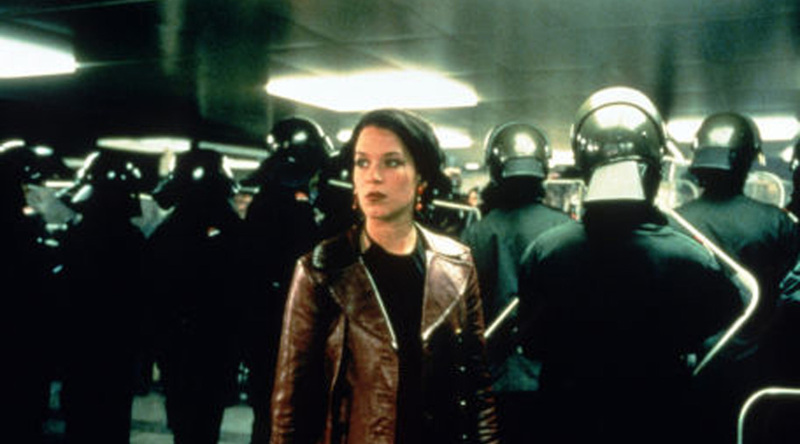 Sunday April 20th, 2008 S. G.
Anne and her boyfriend Marc are on standby duty for the Tyrolean mountain rescue in the mountain village of Vent when they are called to duty. Anne’s brother Michael’s life is in danger. Despite their greatest effort, the two do not manage to save Michael and are forced to watch as he falls to his death. The tragedy destroys Anne’s relationship with Marc, who turns his back on Vent and never hears of the birth of his son Nik. 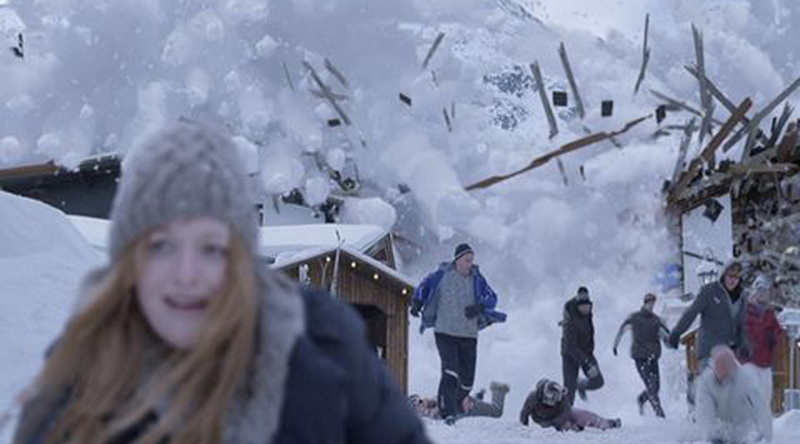 When Marc returns years later, the avalanche warnings are piling up and a disaster is on its way. 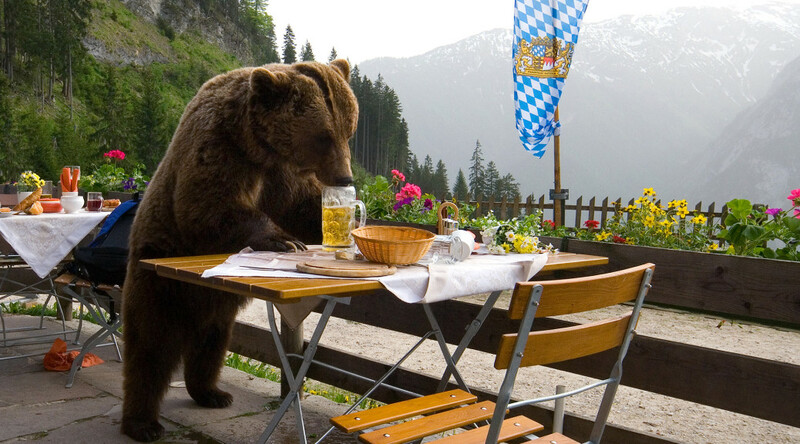 Friday February 15th, 2008 S. G.
A few years ago it actually existed: the bear causing problems in the Tyrolean – Bavarian border region, which served screenwriter Felix Mitterer as a template for this satirical comedy. And so everybody chases Bruno the bear in ‘Bear on the Loose’: adventurer Wolfsgruber and zoo manager Rettensteiner in order to catch him, animal rights activist Linde Blümel to protect him from the hunters. But Bruno is not easily caught, not with bear traps nor by the hastily summoned Finnish bear hunters. He becomes not only a media sensation, but also a political issue. High time for the would-be protectors of Bruno to come up with a plan for an effective rescue operation, for the alarmed huntsmen are waiting with fingers on triggers for the order to shoot. Tuesday January 15th, 2008 S. G.